This level have again hard difficulty and you need to break all blockers so the later ingredients wont stuck on it. 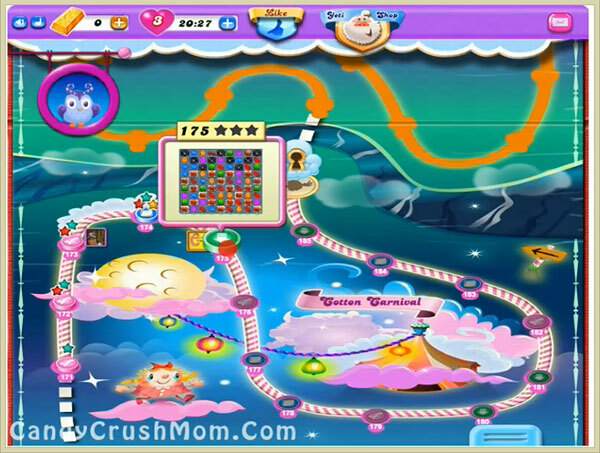 You should try to play more from the bottom so candies will shuffle everywhere on the board and then as ingredients appear try to play near them or use special candies to take it down. You should focus on balancing the Odus owl specially when using special candies. We completed this level with 495280 score by playing from bottom and luckily got few special candies that help to get three star score at the end of the level.